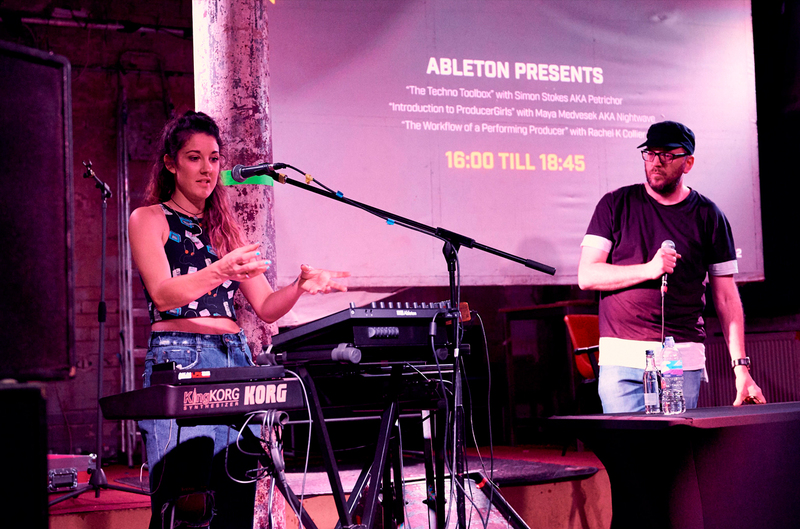 Ableton will deliver a series of masterclasses and artist sessions which will introduce creative and production approaches to making music with Ableton Live 10 and Push. Attendees are encouraged to bring their own laptops, download a copy of Ableton Live 10 Suite and follow along. Attendees will be given the opportunity to try Live 10 & Push and talk with members from the Ableton Certified Trainer community. Discover Ableton Live with the Producer-girls co-founder, Maya Nightwave.Producer-girls are collective of music producers who run free DIY music production workshops for women around the UK. This session is open to anyone new to music production who wants to get started making music. Feel free to bring your own laptop,headphones and download the demo of Ableton Live 10 from the Ableton website. Dr Milton Mermikides and Ableton Certified Trainer Phelan Kane take a look at some less than conventional ways to generate rhythms and sound. Using Live and custom Max for Live devices, this workshop introduces a range of tools and methods to break out of standard repetitive cycles of electronic music composition. Through a series of exercises using custom-built Max forLive devices, they’ll explore Euclidean sequencers, odd meter, micro timing, hypermeter, swing and latency, with the aim of unleashing your creativity and exploring uncharted territory beyond the standard 4/4 landscape. Dive deep into the word of renowned Drum & Bass DJ & producer Shimon, as we trace back his early roots in the defining of agenre, through his close affiliation with Andy C, Ant Miles & Ram Records. We’ll follow his journey through to present day, withthe eventual forming of his own record label AudioPorn. We’ll also have the chance to explore some of Shimon’s currentprojects in Ableton Live, and gain some incredible insights into the inner workings of one of DnB’s best loved artists. Ableton Certified Trainer, Artist, and owner of Shoogle Studios Simon Stokes will show how to create every sonic element of your track using the new Wavetable synthesizer in Ableton Live 10. This is an excellent opportunity to learn how limiting your options can yield wonderful creative results. What is Max for Live? Max for Live is a platform to build your own instruments and effects, tools for live performance and visuals, and much more.Although it is a visual programming language it doesn’t need to be something only for developers. In this session Ableton certified Trainer Phelan Kane introduces Max for Live in a way that helps musicians and producers get the most out of this amazing extension to Ableton Live. If you want to follow along, feel free to bring your own laptop, headphones and download the demo of Ableton Live 10 from the Ableton website. Experience the creative mindset of London based electronic music producer “Prayer” and how he uses his classical music practice background when approaching modern music production.